world class rafting in a tropical paradise. 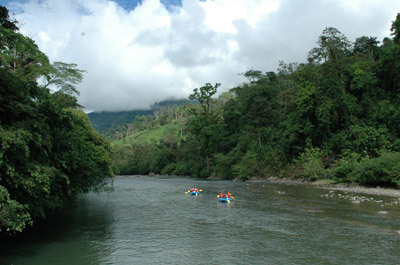 I-Class V rivers of Costa Rica offer hot water throughout the year and surrounded by nature. An excellent choice, even for beginners. 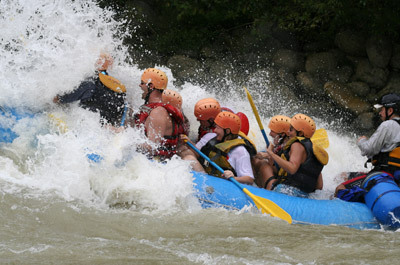 Rafting and kayaking trips range from day trips to a 10-day extravaganza of living water. Many adventures available too. Costa Rica is a natural product for boaters. With the Pacific and the Caribbean and large watercourses, the options are almost limitless. Many custom trips that include sea kayaking and canoeing for individuals and groups available. Sarapiqui River (Class I-II) – float travel through the lowlands of the Atlantic slope. Ideal for bird watchers and nature lovers. Pascua Section (Class IV) – For experienced rafters, Easter is 15 miles from the action of rowing unforgettable. SECTION PERALTA (Class V) – whitewater legendary! Experts only during the dry season, December May. An overnight trip offers the chance to sleep in the rainforest. Bungalow and bunkhouse rooms and gourmet cuisine river offer comfort for every adventurer. The extra day is spent at the campsite the river with plenty of time to walk through the rainforest, exploring natural slides or just relax in a hammock by the river only library of Costa Rica. This class III-IV river is from its source on Mount Chirripo. 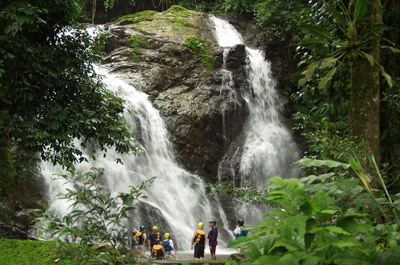 The General offers white water in a rich tropical environment. It compares favorably with Toulumne California and famous middle fork of Idaho salmon. Runs from June to December. 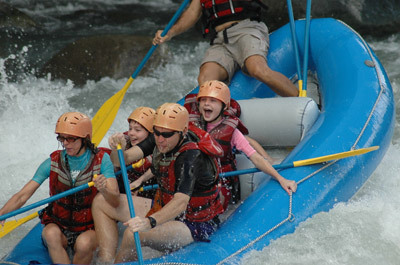 Add the Pacuare Reventazón river trip two nights for three incredible days of rafting. Expand the fun of white water with the last day on the Pascua River. This trip is sure to excite even the most experienced paddler.